Zedflo supplies industries across Australia with a range of pressure switches manufactured by Neo-Dyn, one of the world’s leading producers of process control equipment. Pressure switches are designed to enable greater system control of pressurised fluids, and at Zedflo we stock a large range of vacuum, differential and hydraulic pressure switches suitable for use in all types of industries, including high vibration applications and hazardous locations. Neo-Dyn pressure switches are noted for their outstanding design features, such as stable set points and high over-pressure capability, as well as a long life cycle that helps to reduce operating costs. Multi-purpose, light but durable pressure switches that are shock and vibration resistant. Our range Includes the Neo-Dyn 105P, 115P, 125P and 130P series. 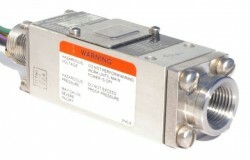 A range of pressure switches featuring the Neo-Dyn Belleville spring design and high system and proof pressures, and that are suited to use in hazardous locations. The Zedflo range includes the compact 225P, 231P and 233P models as well as the versatile 200P and 201P series. Zedflo stocks a range of vacuum switches featuring the Belleville disc spring sensing mechanism, weatherproof and explosion proof housings, as well as stable set points. Our range of versatile vacuum switches includes the Neo-Dyn 180P, 182P, 184P and 185P series. 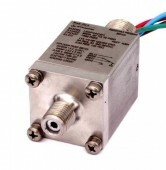 We can supply pressure switches designed especially for use in food, beverage and other sanitary applications. Featuring a 316 stainless steel housing, these are compact switches with an adjustable range. Our selection includes the Neo-Dyn 112P, 117P, 119P, 123P and 132D series. Zedflo can supply a range of differential switches, including compact, ultra low and high pressure models, as well as differential switches suitable for use in hazardous locations. Our range includes the general purpose 160P series, as well as 152P ultra low pressure switches and the 162P high pressure model, along with 155P, 163P and 164P compact differential switches. Featuring the Neo-Dyn Belleville spring design, our range of ultra low pressure switches are suitable for use with a wide range of wetted materials and have a weatherproof housing. We supply the 142P range, which is suitable for use in hazardous locations. We stock a range of compact, adjustable pressure switches suitable for use in a wide variety of applications, including in hazardous locations. Our selection includes the Neo-Dyn 122P, 131P and 132P series of compact pressure switches. Zedlfo stocks a variety of versatile pressure switches that includes explosion proof switches, air relay pressure switches and external adjustment pressure switches. Choose from the Neo-Dyn 100P, 101P and 110P ranges. Zedflo supplies Neo-Dyn pressure switches to a variety of industries across Australia, and we can offer expert advice and guidance to help you choose the right product for your application. Contact us on 08 9302 1266 or email the team at sales@zedflo.com.au to discuss your specific needs.